When Size Guide files are downloaded from your CodeCanyon account. 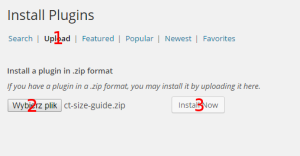 You can start installation using WordPress administration panel. Please note that upon plugin activation there are two sample size guides created, for a quick start you can just edit them! Title will be the name of the size guide. 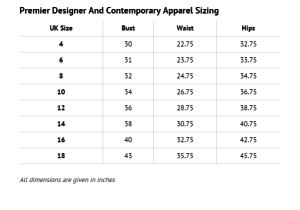 In the content, you can for example describe how a customer can measure its sizes properly. In the sections 1 and 3 you can specify a table header and a caption. To add/remove columns and rows just use the plus/minus buttons (inside red squares on the screenshot). Right, it’s as simple as that! Fill table cells by just clicking on them and inputing the text. 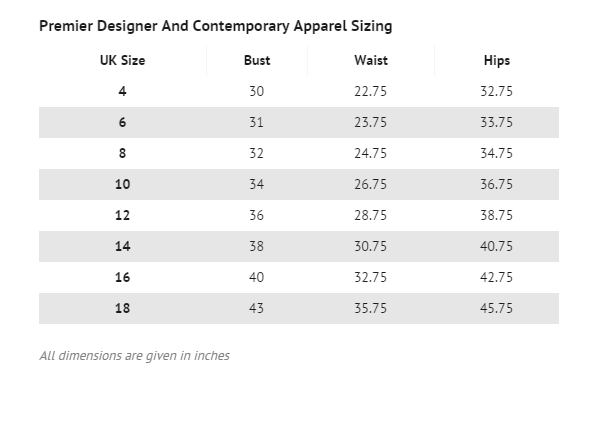 Everytime you create a size guide there is a basic 4×4 table attached to make your work easier. On every created Size Guide you can either use the global settings or adjust them separately. Check this field to hide size guide when the product is out of stock. Size guide will be displayed if you allow backorders in products settings. 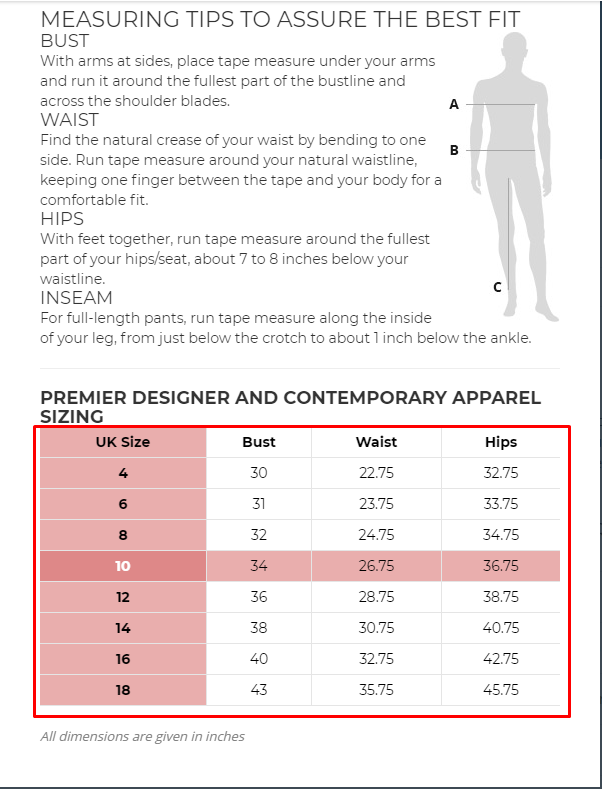 Choose whether to display a simple link or a button to open the size guide. You can display it either above the product summary tabs (Description, Reviews etc. 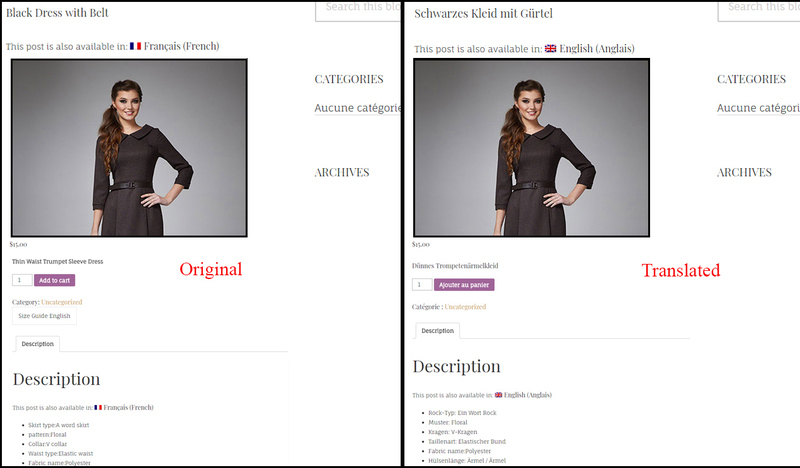 ), after the ‘add to cart’ button, as a tab or use the [ct_size_guide] shortcode on the Single Product page. where the numbers mean the priority. The lower the digit is, the earlier the action will be executed. 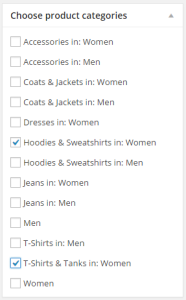 For example, if you display the Size Guide above the product summary tabs, you can display it right under the title by setting the priority to 7 (or anywhere between 5 and 10) or after the price by setting it to 15 and so on. Enter the text to be displayed in the link/button. Default: Size Guide. Choose if the button should be aligned left or right. Allow or disallow floating elements on the sides of the link/button. 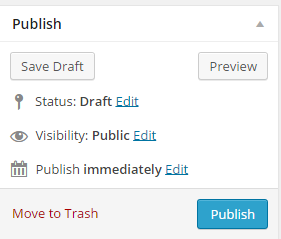 More advanced users: if set to no, this option will add a ‘clearfix’ after the button/link. You can add any custom class to the button. Set the margins on the sides of the link/button. Set the color of the background behind the Size Guide popup window. Set the paddings inside the Size Guide popup window. 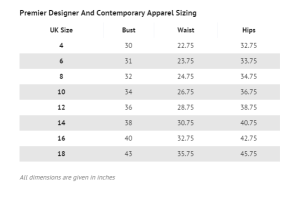 Option to enable hover effect on the Size Guide table. The BG color of the rows and columns of the cell you are hovering. The BG color of the cell you are hovering. Option to enable/disable the responsive view of the table in the Size Guide. Please remember that Product CSV Import Suite isn’t part of the Size Guide for Woocommerce plugin. If you wish to use this feature you need to buy it first. Using CSV you will be able to export the content of your size guide items and then open them using office software like Open Office or Microsoft Exel. After opening the file you will be able to change the content of imported tables by (for example) attaching products to new categories. 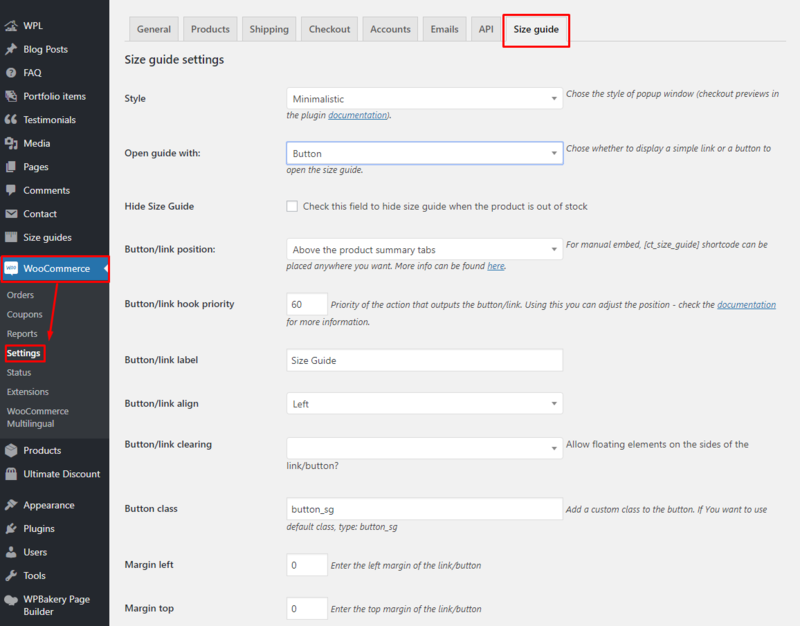 Below you can check step-by-step instruction how to use this new feature from exporting product Size guide tables to importing them after adding your custom changes. 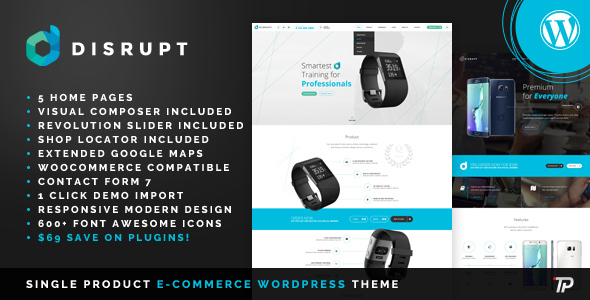 1.Go to WooCommerce > CSV Import Suite and in Export Products tab choose Export Products – this way you will get .csv file with all of the product information. 2. Open the .csv file using office software you have installed on your computer. 2. In the SizeGuide slug you will find a number – this is the ID we are looking for! 3. Go back to the downloaded file and add the ID to the product you want to use this Size Guide and save the changes in the file. 3. Hit the Upload file and import button and it is done! 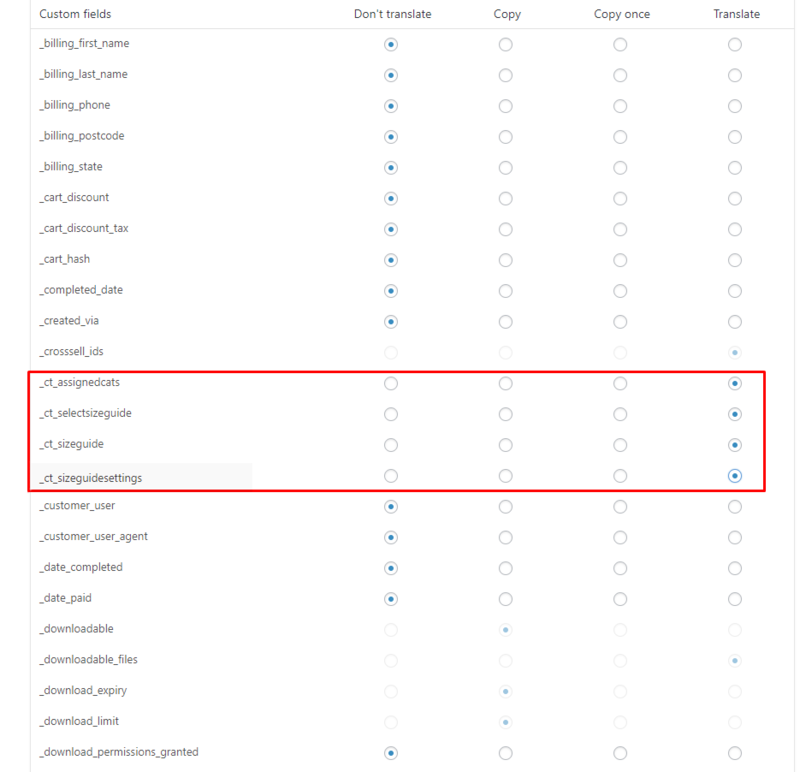 To use this option, you need to have installed (WordPress Multilingual Plugin) WPML plugin, which you can buy here. 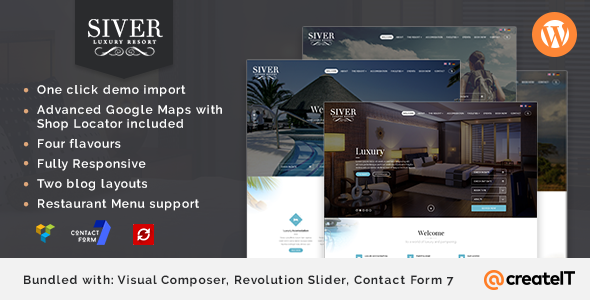 This plugin isn’t part of the Size Guide bundle, to use this function you must have the WPML plugin. 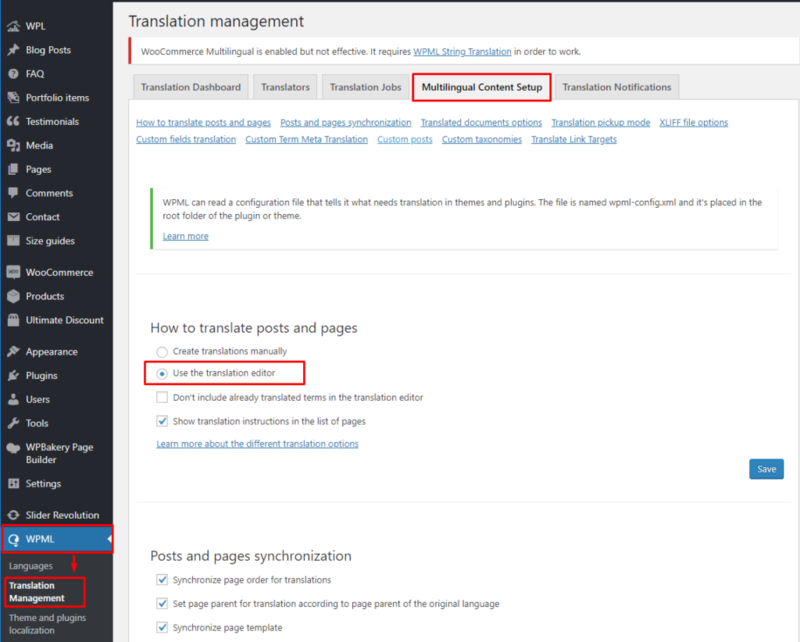 Once you have installed the WPML plugin, go to WPML > Translation Management. 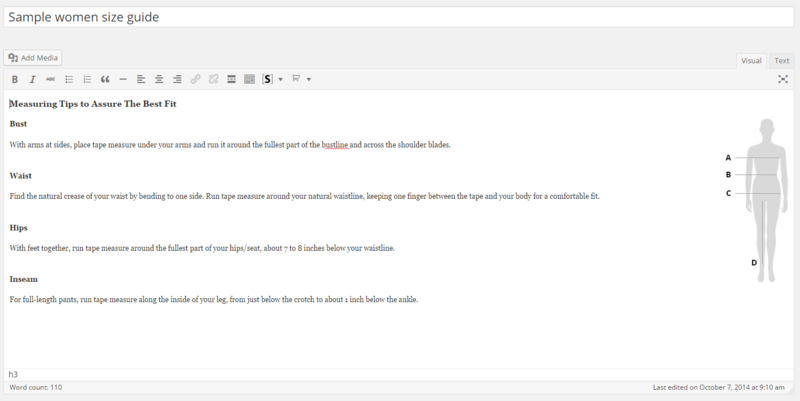 Choose the Multilingual Content Setup tab and click on Use the translation editor radio button then save. Scroll down and look for Custom Fields Translation. Click Show system fields to show all available fields. 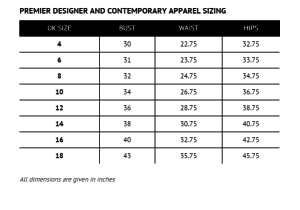 Look for the Size Guide custom field. Then click the Translate radio button beside the custom field. Custom fields will show when activated/used in the site. When you have done all this, go to WooCommerce > WooCommerce Multilingual. You will see all the products available. 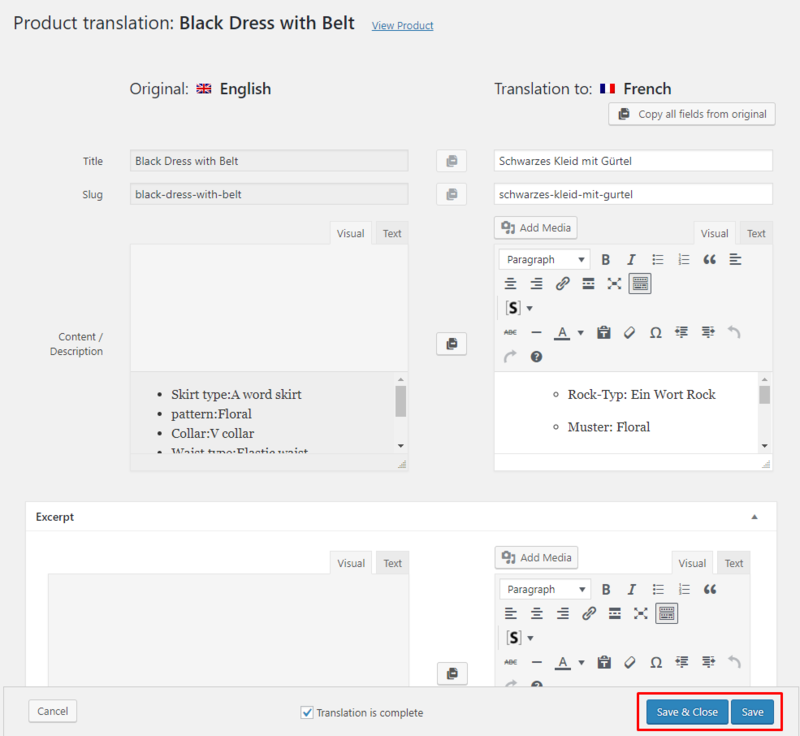 Choose a product and click on the Plus Sign (+) on the language you would like to add a translation to. 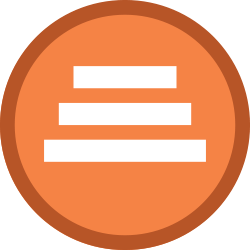 You will see the Original (English) version of the text content of the product item and an area to add the translation of the language you chose. Add the translation as you see fit, then click the Save button. Adding separate size guide label with different languages can be integrated to this plugin. 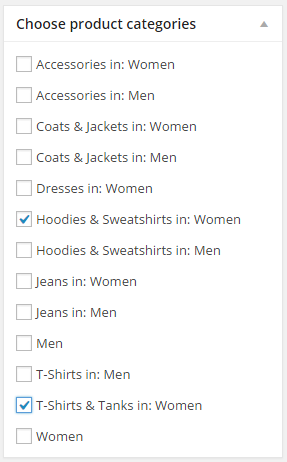 Step 1 – In WooCommerce > Settings > Size guide settings, Add the label that will be used for the Size Guide button/link. This will be used later to label what language is going to be used. Step 2 – In WPML > String Translation, look for the button/link associated with the Size Guide, then set the labels for other languages used in the theme. 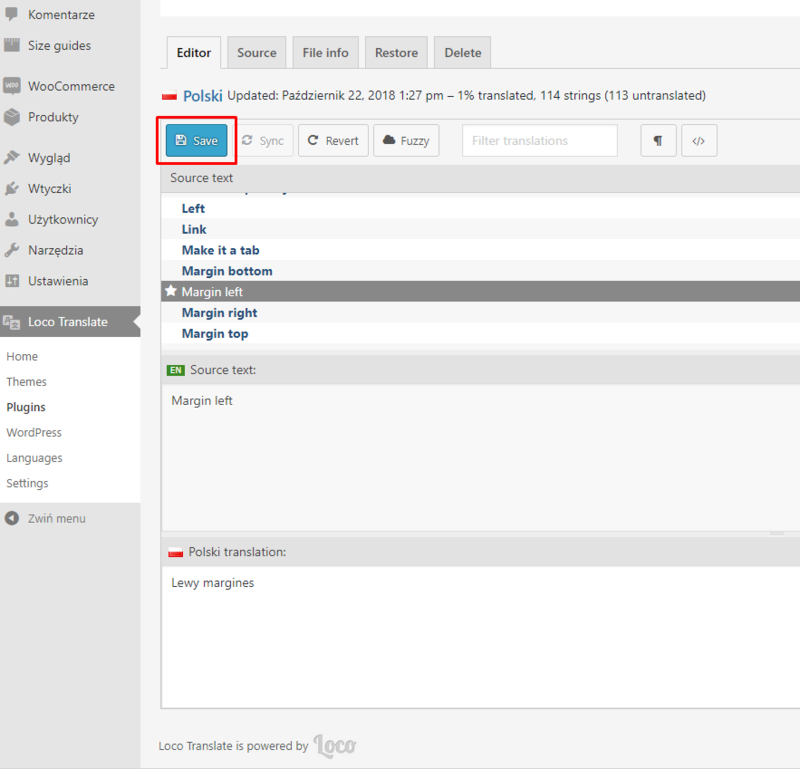 The translation can be created by a translation editor like Poedit or one of the free to use WordPress plugins like Loco Translate. 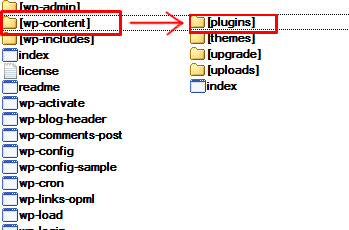 This way you will be able to create PO (Portable Object) and MO (Machine Object) file from the plugin POT file. But the only file we are able to edit is the PO file. In the PO file, we are saving both English and the translations for this phrases. All translations you created are added there. Saving the changes there will also update the MO file that is used by the plugin. 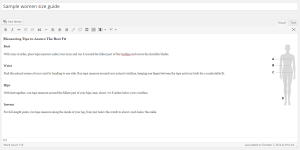 Install a translation editor from this site Poedit on your computer. Choose the ct-size-guide.pot file to translate. Once done translating the words in the Source text, save the file. When saving a file, ct-size-guide- should be added to the default file name. To activated the created translation please, navigate your dashboard to Settings > General. 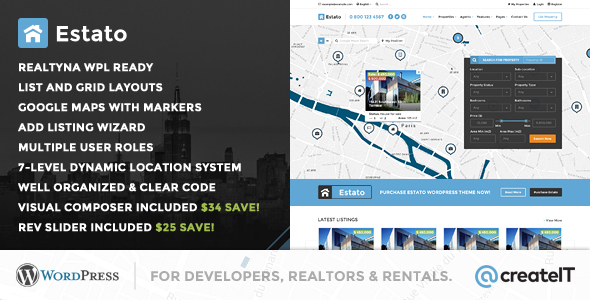 After selecting the site language, click the Save Changes button and a loading icon will show. Once the loading icon disappears, the translation should be done. 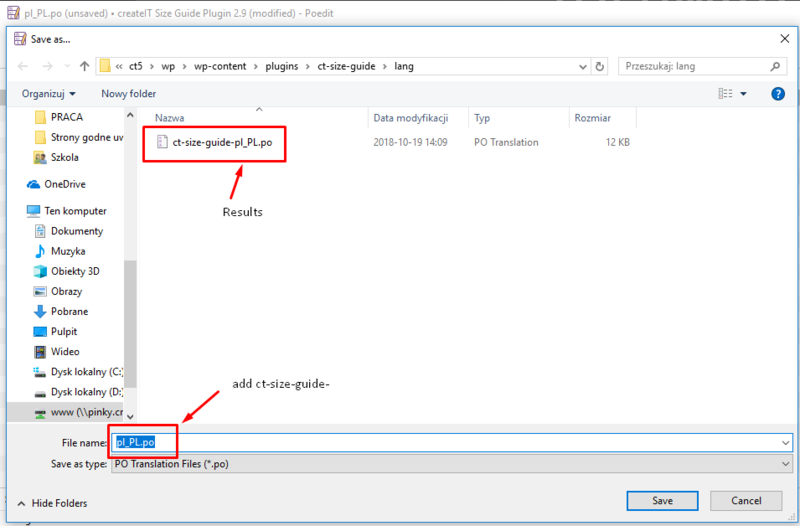 For more information on how to translate a plugin using Poedit, click this link. 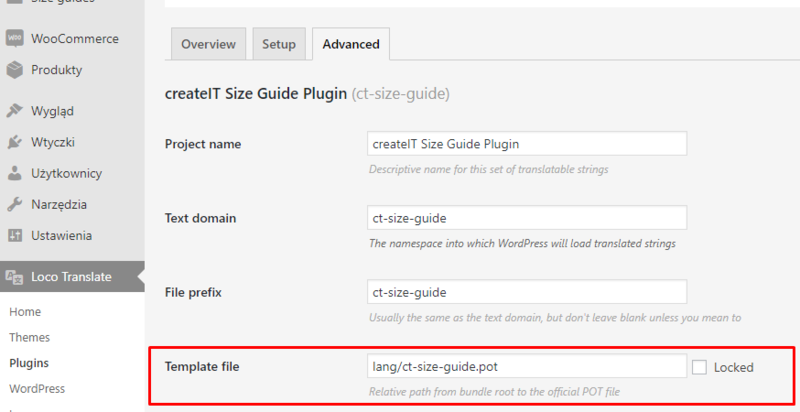 Then from your Dashboard Go to Loco Translate > Plugins where createIT Size Guide Plugin plugin can be chosen. 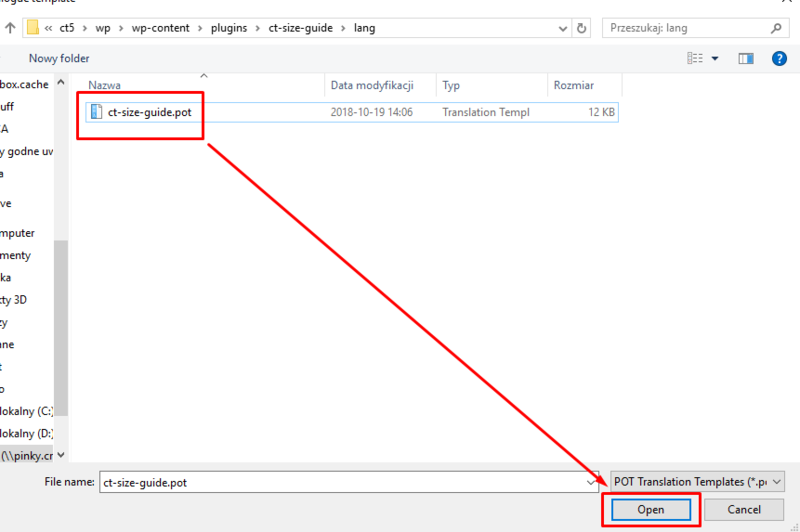 Go to the Advanced tab and set there where you will be able to set the path to POT file: lang/ct-size-guide.pot click Save config button. Go back to Overview tab and click the + New language button. Then on the next screen, a Country dropdown list will appear, Select The language you want the texts to be translated. e,g: Polish and continue. On the next screen, all the English text strings that are inside the plugin will be listed. Select text string from the Source text list and then Add your translated text in the text area below and click save. 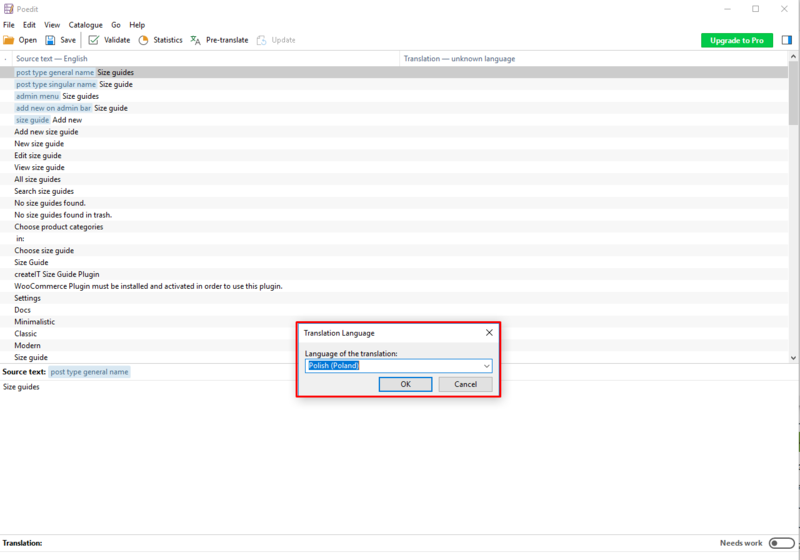 To activate the created translation please, navigate your dashboard to Settings > General. For more information please follow created by developers Guides and Tutorials which can be found here: LINK. 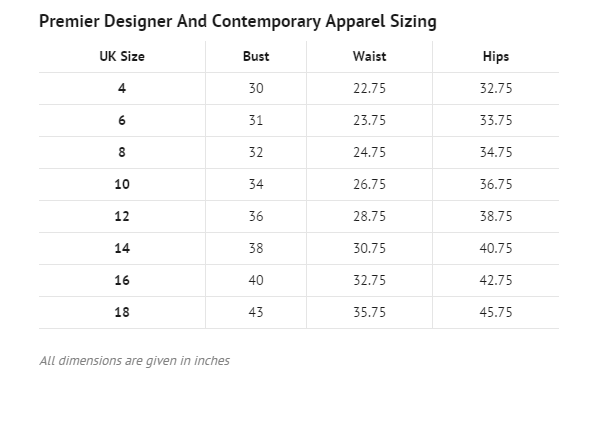 If you select a size guide for a particular product, it will be attached to that product even if the products category has its own size guide assigned. You can add your own stylesheet to the settings tab using ct_sizeguide_styles filter. This code should go to your functions.php file (or anywhere else you wish).